Strip search demanded at Scrabble tournament? At this year's World Scrabble Championship in Poland Sunday, a player from Thailand accused his English opponent, Ed Martin, of hiding a letter "G," and supposedly demanded a strip search to prove it. CBS News correspondent Charlie D'Agata reports that tournament officials decided against the strip search, saying there wasn't enough evidence of cheating. More than a word game, Scrabble can become a competition of who's smarter than whom -- and sometimes, a battle of who's cheating whom, which can get a little personal. John D. Williams Jr., executive director of the National Scrabble Association, told CBS News people do occasionally cheat at Scrabble tournaments, saying, "There's an emotional attachment to (the game). People get really into it, really into it." Williams added, "You're dealing with some pretty intense people. You go to one of these events and you feel like someone's head is going to explode right in front of you, (they're) just so intense." At this year's world championship, 116 players from 44 countries took part. The winner -- a New Zealander named Nigel Richards -- scored 96 points on one word alone -- omnified -- to win $20,000. 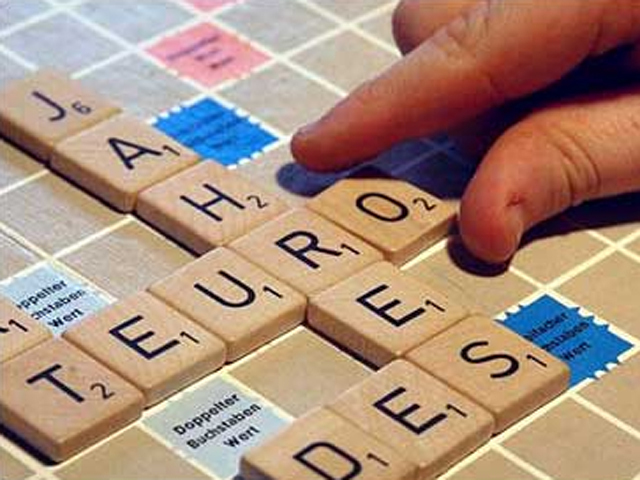 Created in 1938 by American architect Alfred Butts, Scrabble is now sold in 121 countries and 29 different languages. Williams said, "I love Scrabble for all the same reasons that 15 million other people do. It challenges me, it's creative, it's rewarding, it's maddening -- (I) can't imagine life without it."